Niclas Peterson, Operation Manager at LP Entreprenad in Gothenburg, is convinced that digitization brings a lot of benefits. But at the same time he is realistic. Even though it’s the right way forward it’s not necessarily an easy switch to make. LP Entrepreneur is an experienced company established in 1956. Today they have 150 employees and a turnover of over 330 million SEK. 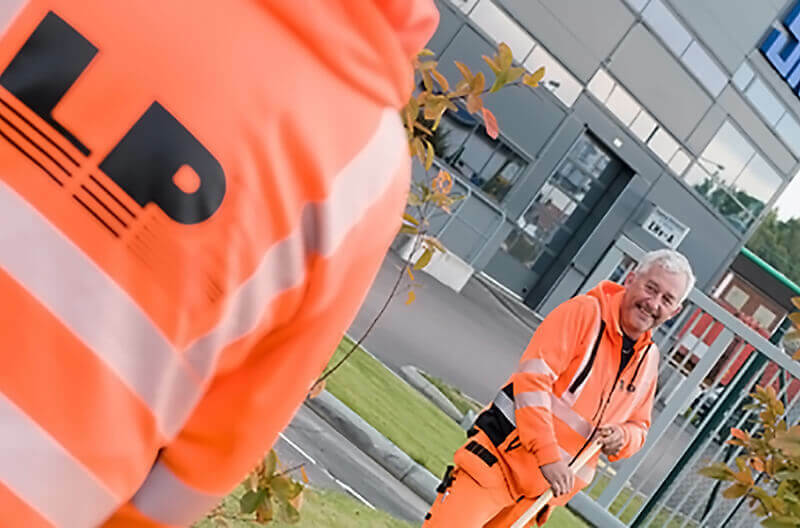 LP Entrepreneur is one of Western Sweden’s leading companies within outdoor environment, facilities, management and land work. They started using digital tools very early. The first time Niklas came in contact with Bidcon was in 2002. – At that time we worked a lot towards industry, and we had a lot of EAT: or where we had to prove what was added. We realized that if we where supposed to work a lot with open calculations, we need a software that can handle it. – It’s not fun to realize that you’ve miscalculated or left out things which made the project very costly. It’s possible to make mistakes with all software – since it’s basically a question about capabilities, guys and machines, and to estimate the amount of time needed to do the job. But the big difference with Bidcon is that it can visually show you that you really have everything included in the estimation, which makes the risk lower. – Within the construction industry, it is a bit of resistance towards such IT support tools. A lot of people think that you have to be so careful and that using this kind of tools takes a lot of time. So everyone is not happy about this with the digitization. But the fact is that the extra time you spend learning at the beginning is absolutely worth it. With Bidcon it’s easy to cooperate and it’s easy for someone new to understand estimations that is already initiated. It is also an advantage that you have everything in one place. Normally we submit a quotation half a year before the customer comes back with a decision. With Bidcon you’ve got everything saved and in front of you when the time is there. – Another great thing about the software is that you can mix different resources into the same product, a bit like an equation with many variables, and then add it to the schedule so that you can pedagogically show the staff where we are at, this is what we are working at right now and this is what we cost’. It improves the understanding of the current project. The next step for LP Entreprenad was to complement Bidcon with some kind of project planning tool. LP Entreprenad started with Plancon Planner from Elecosoft but has now upgraded to Powerproject from Elecosoft. For Niclas, using Powerproject means that he can go from ‘hoping’ to ‘knowing’. – Once the estimation is finished you can transfer it to a schedule in Powerproject were you can periodize the work, meaning that you each week are able to read how much the resources cost and compare that to how much work that has been done. – If you do this correctly, you will have a clear view of the current situation. Without this kind of tool you would have no idea. Without Powerproject I would have to wait until the last nail is wrapped and all the bills are paid the and just hope the end result will be good. But by becoming aware of how to proceed, you got the chance to adjust and find solutions before it’s too late. The project planning tools are also about facilitating for those who work in the project, and allowing the technology to give everyone the same prerequisites to succed, says Nicklas. A common progress within this industry is that people in production eventually get the responsibility to estimate. But the professionalism in production has very little to do with economics. Leading jobs and projects, on the other hand, is almost exclusively economical. So by making the projects more clear and making it easier to connect effort against money visually, the software is also an educational tool – wich is very important. – I hope that we’ll in the future, with the help of GPSs and sensors will get the ultimate feedback directly from the machines, so that we can use and update the reality in our estimations and timetables. Unfortunately, it’s still too difficult to measure reality and there are so many parameters that matters. But what if we could adjust the technology – so that I could use the actual data from the last project (exported from the machines) when doing the estimation. That would be very helpful and a great support to work with real figures instead of assumptions.